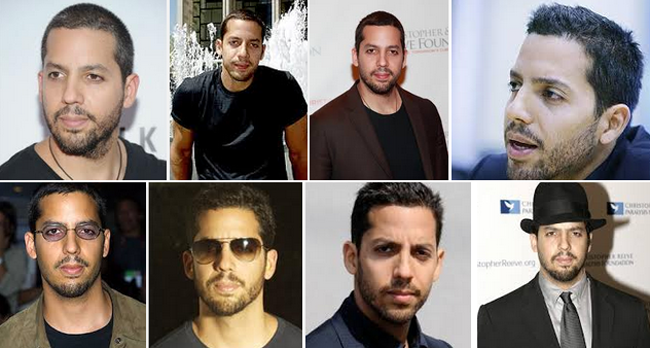 David Blaine with complete name David Blaine White was born on April 4, 973 and is an American magician, illusionist, and endurance artist. His craft is on street magic wherein he developed his skills dealing with people on the street, showing his tricks and the like. He started his career in 1997 and is still active until now. David is the son of Patrice Maureen White and William Perez. Looking at his personal life, David has a half brother. He also has a daughter with his fiancée Alizee Guinochet named Dessa. David was featured on television, internet, magazines, etc. His distinct style of magic has captured the hearts of people and encouraged other magicians also to develop their crafts. David is a big inspiration to many people around the world, especially Filipinos wherein they will be able to meet him face to face in Manila for 90 minutes for a show. David went through a lot of deadly tricks including being drowned alive on May 17, 2006 wherein he was submerged on a 8 feet diameter water filled sphere. David was able to overcome this and he gained respect from many viewers and spectators around the world. He went underwater for 8 minutes and 58 seconds. That was such a record for Blaine. Blaine after this did another stunt in November 2006 wherein he was able to escape the shackles of a rotating gyroscope. Because of his success, proceeds went to 100 kids on a shopping spree. They were selected by the Salvation Army. David Blaine is not just a magician because he has the heart to serve. In fact, his desire to do a lot of life-sacrificing tricks just to give the children happiness is something worth remembering. David possess the quality of a servant. Can’t wait to watch him in Manila.